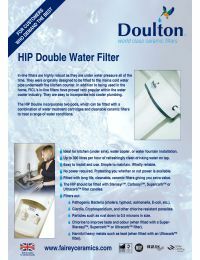 The Doulton HIP2-UC Twin In-Line Housing Filter System is an under-counter systems for those who have specific filtration requirements where even the exceptional qualities of ceramics cannot provide sufficient reduction alone. 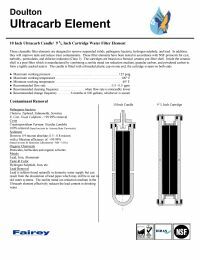 The second filter chamber allows you to select the additional filter to meet your specific filtration needs, such as alkaline enhancement, arsenic reduction, lead/heavy metal filtration, MTBE filtration and nitration reduction. 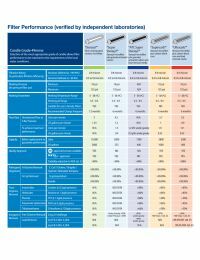 Other than reverse osmosis, the B-2 cartridge is one of very few filters available which will reduce chromium VI (hexavalent chromium) and fluoride from your drinking water. In order to complete your system, visit our large selection of Drinking Water Faucets in different styles and finishes.